On January 30th Mega Moolah created its first millionaire of 2019, and the lucky person is walking away with over 13 million in the bank. This is the third largest ever cash pot prize paid out by this iconic mobile and tablet slot. You have the earth-shattering €18,915,872.81 paid in September 2018. Which was the biggest amount ever. Then you have the €17,879,645.12 win in 2015 which broke the Guinness World Record as the biggest win ever on a slot machine. And third in line is this guy, with 13 million. Which granted, doesn’t sound as impressive, but take a moment to think about what you could do with 13 million in cash. What would you do with a jackpot of €13,328,028.16? This lucky player is the 68th millionaire to have been created by the Microgaming progressive jackpot network. Which doesn’t sound like a lot considering that Microgaming have been around since 1994. But if you consider the numbers, that’s at least 2 millionaires a year. And, let’s be honest, they didn’t launch their progressive jackpot slots in 1994. In fact, Mega Moolah slot came out in December 2006, and (let’s be honest) it’s been the most popular and driving force behind the jackpot winners. On average, you get around 3 to 5 millionaires by Microgaming every year, so even though the first one is right at the beginning of the year, don’t worry. You’ll get your shot. This is not a serious list, we should put it out there. If you’ve actually won a large fortune, please seek help from a financial adviser, make some good investments, save your cash and look after your family. And you know what? You would still have millions to spare, even after doing all of the above. Who who this big Microgaming slot jackpot? No one knows. Because it’s millions in cash, the person in question has kept their identity a secret. We don’t even know if it was a man, woman or frog that pressed the winning spins. So it sounds like it’s someone who, after years of playing slots, finally got the payday they always dream of when playing casino games. We hope they use the money wisely and don’t buy real gold shoelaces. Stay humble and buy them in silver. Total progressive jackpot payouts now exceed €1 billion! This in itself should get a little attention because Holy Crap. And the capital letters are well deserved. Each win on the network is paid in the currency in which the winner played the game. It’s then paid out as one lump sum by Microgaming studios once it’s been confirmed there’s no foul play on the win or player. Usually, it takes about a week, gives or take. 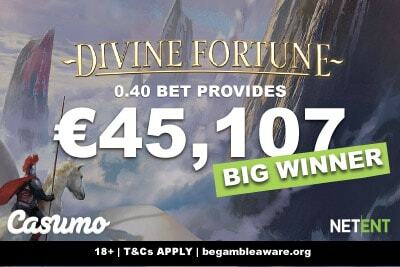 However, because Microgaming likes to keep records of everything, they then converted to EUR on the day of the win or at the time of the payout. This helps them keep a tab on the aggregating total payouts awarded. 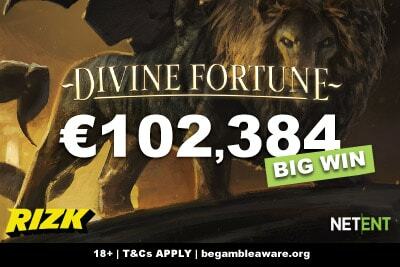 “It was remarkable to see the jackpot ticker rise at such a phenomenal rate in recent weeks, and we are thrilled that this massive win has taken total payouts on the network beyond the €1 billion mark.” David Reynolds, Games Publisher at Microgaming stated. 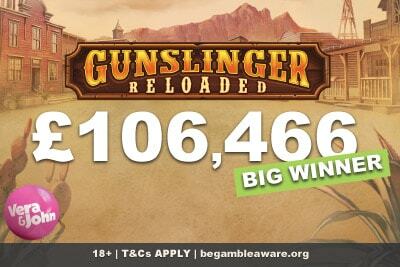 And this last €13.3 million win brought the sum to over 1 billion in the lifetime of these jackpots. 18+ New customers only. Free Spins are Wager-Free. Wagering and Full T&Cs apply. This is one of the simplest Microgaming mobile slots around. It’s got no special features, no crazy reels, no popping graphics like Machina by Relax Gaming. 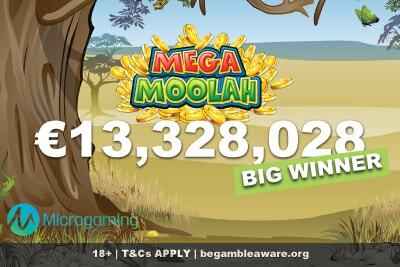 Mega Moolah is a 5 reel, 3 row video slot with 25 paylines, wilds, scatters and four progressive jackpots. You have a very simple, but quite good, african animal theme with Ace to 9 low paying symbols. The majority of your wins will come from getting a good 4 or five of a kind win, or getting a good free spins round where you get 3x multiplier on all wins. But honestly? You are just trying to play for as long as possible to trigger one of those four jackpots. That’s about 80% of the joy here, and that’s still plenty of joy. What jackpot slot game should I play next? It’s been a slow start of the year for jackpot slots if we are being honest. Hall of Gods by Netent is only at 1.6 million, while the IGT Megajackpots are sitting around the 600,000 mark, which is ok, but not quite the million you want. You might have more luck at Mega Fortune which is at 2 million or Mega Fortune Dreams slot at 3 million. But to be honest, even they are a little on the low side. Do you know what is at a decent amount? Mega Moolah. Yeap, it’s back up to 9 million in cash, which is just insane when you consider that it paid out 13 million last week. Guess what we will be playing this week. Rhymes with Ultra Ligula. Best place to play? No where better than the king of casino slot games, with the biggest selection of jackpots you will anywhere. It’s got to be Videoslots casino, of course.